B&M could be about to move into Kirkcaldy’s retail park. The discount retailer has applied to Fife Council to put up signs at the unit which was home to Toys R US – with a view to moving in. B&M has a shop in the west end of the High Street which is one of the key drivers of footfall to that part of the town centre. It’s the latest change to hit the retailing world in recent weeks. 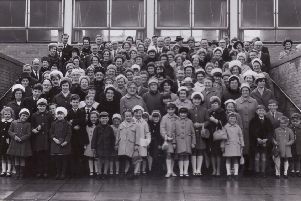 Staff at Mothercare are anxiously waiting to hear if Kirkcaldy’s store will survive the axe. The business is shutting 50 stores as part of a Company Voluntary Agreement (CVA), but this week said it was still unable to confirm which would go. A spokesman said: “We can’t comment on individual store closures. We regret having to close stores and the impact this will have on colleagues. CaArphone Warehouse is also looking to close just under 100 stores across the UK. It has an outlet in The Mercat Shopping Centre.